For people who prefer to write their blogposts offline, Windows Live Writer 2011 is your best solution. If you’re running a Windows 7 OS, chances are you might already have this software installed on there somewhere. For those who are running an older Windows OS, you can grab the download and get started with blogging right away. 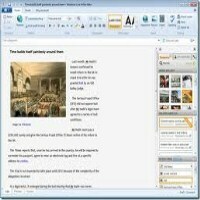 The software is a great way to write your drafts and easily upload, even publish them, to your respective blogs. No more griping about losing everything the moment you lose your internet connection while saving. It supports blog themes, categories, tags and so much more that there’s really no need to head to your blog’s interface just to write your post. When you first start up Live Writer, you have the option to choose which type of blog publisher you’re using. The Writer then customizes and adopts the look as well as feel of your blog interface. One notable feature this updated version has is the ribbon layout. The ribbon makes it convenient to input text, add images or videos, place tags, emoticons, links and so much more onto your post. You can even edit HTML codes and tweak everything to your liking. Moreover, there’s a spellchecker available in several different languages apart from English and also a chance to preview the post. This preview option uses your existing blog theme and showcases how your post will look like as if it was up on your blog. As soon as you’re all done, you can cap off by hitting publish. If you like, you can also click “Post draft to blog” if you still have plans of editing everything one last time. This 2011 version is definitely a step up from before. It makes blogging so much more convenient and eliminates that frustrating and awkward moment you lose your 500 word post because your internet faltered right at the exact moment. Give it a try and see if this works for you.